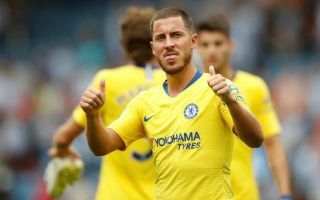 Chelsea have told Real Madrid they will not discuss any transfer for Eden Hazard unless the Spanish giants come up with an offer of around £102million. According to Diario Gol, Hazard himself has already said yes to a move to the Bernabeu, and an agreement between the two clubs is now all that’s needed. The Belgium international could be an ideal signing for Real Madrid, who have struggled since selling Cristiano Ronaldo to Juventus last year. Hazard is a similarly skilful wide-forward who could make a huge impact for Los Blancos, and it does seem things are very much moving in that direction. The 28-year-old will be out of contract with Chelsea at the end of next season, and it does not look like a renewal is likely right now. Eden Hazard to leave Chelsea for Real Madrid? Diario Gol’s report very much suggests Hazard is not planning to stay at Stamford Bridge and wants his move to Real, but it remains to be seen if CFC can be persuaded to lower their demands for their star player. Madrid will surely be aware that they are in the stronger negotiating position and don’t need to over-pay for a player this close to the end of his contract. That said, Chelsea could in theory wait and let Hazard leave on a free next summer, so it’s question of how much Real are willing to wait versus how much they’re willing to spend to get him in earlier.